RayZor International was formed as a family run business in the summer of 2005. 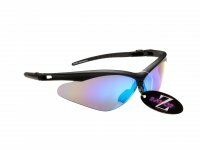 We were all active participants in various sporting activities and after purchasing numerous pairs of sport sunglasses over the years, we embarked upon a number of years of research into Sports Eyewear. Our aim was to design and manufacture a high quality, light weight, cost effective product that would satisfy the demands of sporting activities and also look great. We have had over 250,000 end user customers buy from us direct, since our inception, with many returning for more. We will continue to develop the products we offer, which we often make improvements based on the feedback and recommendations our customers offer, which we value highly. We would like to take this opportunity to thank our past, present and future customers.